When her abusive father finally goes too far, shy seventeen-year-old Rayne Kennedy finds that her savior is far from an angel. Lost and alone she is completely enraptured by the beautiful but murderous, Scarlett. Taken on an adventure by the vampire’s well-intentioned sister, Rayne is drawn into Vires, a dark and dangerous vampire world, where humans are little more than natural resources to be exploited. 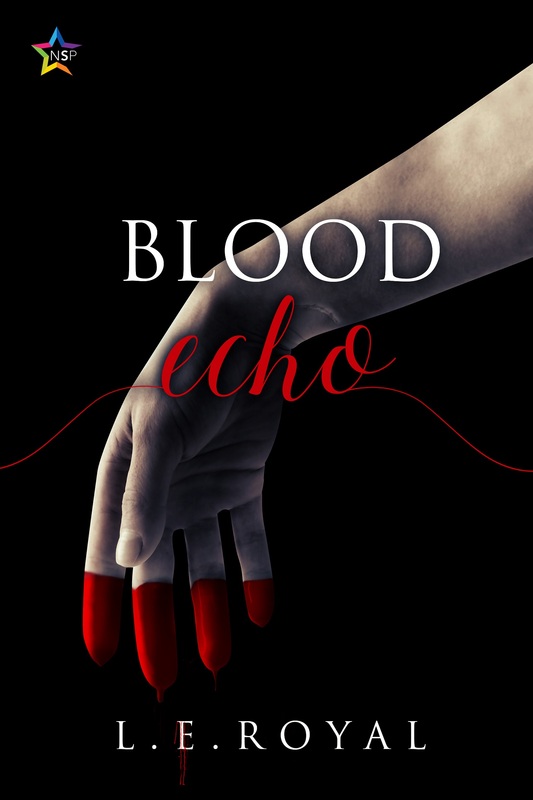 In a society that has been turned upside down while learning to live inside its constraints, Scarlett Pearce may not be much more than a slave to a power-hungry Government and the violent bloodlust that consumes her may be all her own. Before she loses herself in a world unlike anything she has ever known, Rayne needs to find Scarlett and the answers to those questions. Blood. There was so much blood. It tasted metallic and sticky as it flooded my mouth. My back was uncomfortably warm, wet, and screaming in agony. A high-pitched sound filled the air, piercing, shaking me to the center of myself. My frantic blue eyes searched through spinning space, looking for him. My father was three steps up our staircase and wasted, drunk on his beloved infusion of cheap apple cider and vodka that smelled like drain cleaner on his breath. The siren kept on wailing. I searched his eyes, so similar to my own, for any of the fear I felt, anything to signify that he too knew, this time, he really had gone too far. I saw none, and the panic settling over me was ice cold and heavy, crushing down on my chest. Warm wetness was all around me. Only when the siren stopped, and I sucked in a deep and frantic breath that sent white-hot pain shooting through my torso, did I realize I had been screaming. Lying there, my body strewn across the entryway of the house where I grew up, I considered that I’d never thought much about death. Bleeding at the bottom of the stairs, my ragingly drunk father staggering toward me to either save me or hurt me more, I wished I had. At least I might see Mom. That’s what I told myself as the edges of my vision began to bleed, the colors mixing together and fading out. My father’s expressionless face swam into focus as he stared down at me. He almost looked sorry, then he ran the back of his hand across the midnight shadow on his chin and I was drifting away again as he started to shout. The words drifted to my ears like I was hearing them from miles away, through a thick-fogged glass of space, time, and pain. I was dragged back to myself, back to the agonizing sting where the cool air hit the gashes in my skin as, with a wet thwack, a glob of my father’s spit landed on my cheek. He’s going to kill me. The thought spun in my head, a carousel doomed to run endlessly. I tried to find the words to tell him I wasn’t my mother; she’d left us both when her long fight with cancer was finally lost. This was how I would die, after six years of watching the man who had raised me sink further and further into an abyss of alcohol, emptiness, and violence. The occasional “accidents” had escalated to flat-out beatings, and tonight, I realized it would all come to an end. The minute he had thrown me down the stairs, sending me crashing through the glass door below, it was over. “Rayne… Marion…” I heard low mumblings in the familiar voice that had come to foster a sick and unnatural fear in me. I told myself the lie I had lived by since my mother’s funeral—my father had died with her. I would remember him for who he was, not the grief-crazed murderer wearing his pajamas. Tears flooded my eyes. I felt everything, but I couldn’t move. I didn’t want to move. I wanted to sleep and to not hurt anymore, not like this. Shouting woke me again. I listened to my father’s voice, the click of the front door closing, blowing cold air on the bare skin of my side. My shirt was still wrinkled around my middle from the fall. The words made no sense. The questions floating to me came from a voice I didn’t recognize. His replies were suddenly uncertain. The aggressor was gone, and I opened my eyes just in time to watch him become the victim. I don’t know where she came from, how she found me, or how she knew the exact right time to walk into my life. A woman stood in our entryway. Slender and petite, softly waved brunette hair hanging loose around her shoulders, and a form-fitting and deep crimson dress riding dangerously high up her thighs. A smooth leather jacket molded to her small form like a second skin. I had no time to wonder who she was, but I knew from the minute she appeared like an omen in my darkest moment she was someone. Dark eyes looked down at me, and I looked back, though I could not prevent my own closing. I shivered against an invisible cold and the action was exhausting. The warm pool I had been lying in was cooling and everything told me to close my eyes. It was curiosity that kept me alive, it was her, and those haunting dark eyes, searching mine, looking down at me so intensely, yet she was unreadable. I was a captive audience, powerless to look away from her, and I saw it all. Full lips parted, and I watched in awe and almost complete detachment. The way she moved was animalistic, fingers twisting roughly into my father’s hair—his head yanked right, while hers dipped left. When she turned back to me, letting his body fall to the floor with a heavy thud and pushing it away as if he was a wooden puppet, not a two-hundred-pound man, her lips were marred with blood. She was beautiful and she was terrible, this killer, my angel of death. I wondered with the last of my strength if she had come to save me or just to take me away. By now, they were the same thing. Her eyes as she crouched beside me were unforgettable, one brown, one green, though the irises seemed to be alive. The colors swirled, rich and bright, moving like flames, spinning into their own constellations. Suddenly, I was glad this beautiful killer would be the last thing I’d see. Those strange eyes peered down at me, perfectly shaped eyebrows arched, and I stared back up at her. The only sound breaking the silence was my own rasping, rattling breaths. This was it. It had all been for nothing, my father, my mother, me… This was the end of the Kennedy family, but somehow, I couldn’t feel sadness. Looking into those swirling eyes, light-headed, I couldn’t feel anything. I sucked a gurgling breath through my bloodstained lips as I watched my father’s blood drip down her chin. Somehow, I forced out my last words.